On February 28, The New York Times  reported that Trump ordered top-level security clearances for Kushner despite opposition and concerns from the FBI, the CIA, the White House counsel, and his then-chief of staff John Kelly. 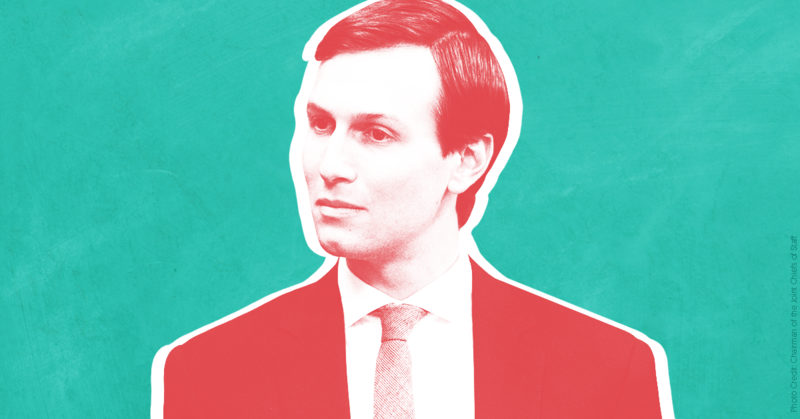 According to the Times, “Officials had raised questions about [Kushner’s] own and his family’s real estate business’s ties to foreign governments and investors, and about initially unreported contacts he had with foreigners.” Kushner regularly expressed his frustration to Trump, but when the White House counsel’s office recommended to the president in May that Kushner not be given a top-secret clearance, Trump “ordered Mr. Kelly to grant it to Mr. Kushner anyway.” The Washington Post  released a separate investigation on the topic later that day, confirming the Times report. On Fox News @ Night , host Shannon Bream mentioned the report for less than 20 seconds. America’s Newsroom aired one brief segment  on Kushner’s denial of the report. When asked about the story, White House senior advisor Kellyanne Conway  replied, “We don’t discuss security clearances.” Later in the show, Fox News host Chris Wallace discussed the report and described Conway’s comments as “a classic non-denial denial,” pointing out that Ivanka and others have discussed the security clearance in the past. Wallace also pointed out that if the report was “false, if in fact the president hadn’t been involved, I can’t imagine they wouldn’t say that. They have no qualms about saying when news is fake, when [there’s] reporting they think is inaccurate. They are not saying that about this story, so I think that speaks for itself. On Outnumbered Overtime , host Harris Faulkner mentioned the report briefly in a segment that lasted less than one minute.